Living with chronic pain can be extremely debilitating, especially if you are used to maintaining an active lifestyle. If you suffer from everyday pain and fatigue, you may be wondering where the source of your ailments stem from or what you can do to alleviate it. While many begrudgingly live with their pain without considering seeking treatment, the truth is that chiropractic can work to help relieve you from pain, fatigue and many other undue effects that individuals have become so accustomed to living with. That’s why, in today’s article, we will be discussing how chiropractic helps individuals restore their quality of life while highlighting the key components of chiropractic care. At Chironow Loveland, we are dedicated to seeing every one of our patients experience the quality of life that they truly deserve. That’s why we work directly with each patient to identify the areas of their body that are affecting them most. By formulating a patient-specific care plan, we are able to provide a comprehensive solution to the aches and pains of everyday life. So whether you were involved in a motor vehicle accident or you are simply wanting to have your spine realigned, Chironow Loveland is here to help. In fact, we make it easy for patients to receive the care they need as our chiropractic office does not require you to schedule an appointment beforehand. Simply walk into our office and be seen by a professionally trained chiropractor — it really is that easy. Contact us today with any further questions. To learn how chiropractic can help to restore your quality of life and alleviate any of your back pain issues, read more on the subject below. How Does Spinal Misalignment Affect You? If you are experiencing chronic pain or anxiety, your spine could be severely misaligned. In fact, vertebral subluxation prevents the brain from properly communicating with the rest of your body. This small misalignment can cause your body to be in a constant state of fight-or-flight, causing excess stress and anxiety throughout your day. Take a moment to visualize the spinal cord as a linked chain. When one link is out of place, it can significantly impact the ability of the brain to communicate with the rest of the body, in turn causing you a number of problems. This is just one reason why chiropractic care works to restore the communication pathway between the brain and the sympathetic nervous system. What Can You Do To Prevent Frequent Vertebral Subluxation? While vertebral subluxation affects almost everyone at some point and time, there are many ways that you can reduce the chances of spinal misalignment from happening as frequently. One of the main reasons that the spine shifts and becomes out of place throughout the day is because the musculoskeletal system is not strong enough to support the spine. The result is a weak spine that is prone to shifting and subluxation. However, there are a few activities that you can do while at home or at the gym to deter vertebral subluxation from occurring. Yoga is one of the best practices that you can take part in while at home. This simple exercise promotes improved blood flow throughout the body and helps to strengthen the back as well as many other areas that you may be unaware of. Not only is yoga physically beneficial, it also offers a number of incredible mental health benefits. By practicing deep breathing while stretching, yoga promotes relaxation while working to decrease the body’s cortisol or stress levels. 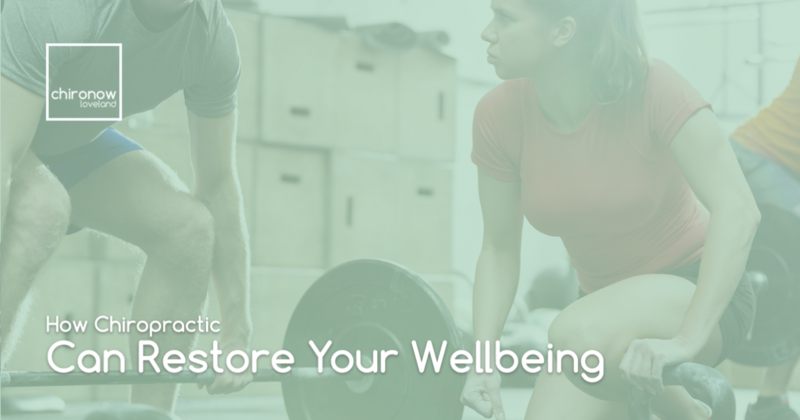 Strengthening the muscles in the back is essential to reducing the amount of vertebral subluxation experienced. If you are in a position where you can workout without experiencing pain, consider beginning to exercise your back muscles frequently. Simple movements such as squats are a great full-body exercise that will strengthen your skeletal system while focusing on developing the muscles surrounding your spine. If you are considering visiting a chiropractic office in Northern Colorado, see the professionals at Chironow Loveland today. With no appointment required, we make it easy for individuals of all lifestyles to receive the care and attentiveness that they deserve for a happier and healthier life. If you have any additional questions or concerns, call us today at 970-372-0286 to learn more! You can also fill out our online form. We look forward to speaking with you!